An award winning pub and restaurant. The Hairy Dog provides a great setting to stop off and enjoy a drink. We have lots of areas where you can have a quiet chat with friends, or be part of the more vibrant atmosphere. 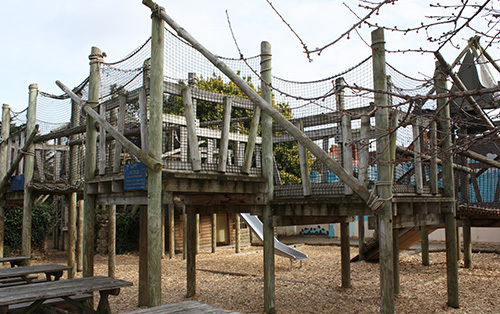 Our kids playground has a full selection of rope bridges, slides and things to climb, which will keep the little ones busy. Your children will always remember their visit to the Hairy Dog. At the Hairy Dog, you know you can rely on freshly prepared food from our team of talented chefs, led by our Head Chef, who has been with us for over ten years. Situated in Minehead Town Centre which borders Exmoor, a short walk from Butlins. 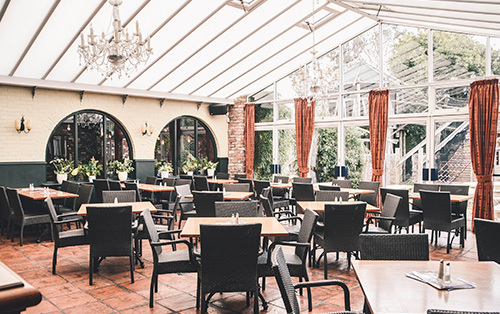 The Hairy Dog in Minehead, Somerset has a well deserved reputation for serving delicious food in a family-friendly pub which has a traditional atmosphere with the added benefits of a large conservatory, outside eating area and kids' playground. 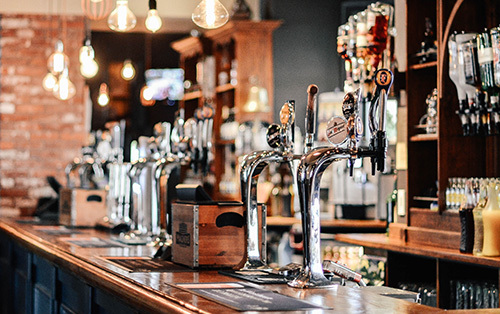 The Hairy Dog is a very child-friendly pub, but later in the evenings it is also a perfect venue to meet up with friends for a drink and a meal, and enjoy the livelier atmosphere. The pub has large plasma screen TVs, so you can watch all the major sporting events showing on Sky sports while enjoying your drinks. Children love the Hairy Dog. Our kids playground has a full selection of rope bridges, slides and things to climb, which will keep the little ones busy. We have a scrummy childrens' menu for them to enjoy too! Your children will always remember their visit to the Hairy Dog.